In late February, armed with just his football boots and (cough) supreme footballing ability, Ben da Costa of social media agency Jam went on a mission to make it as a professional footballer at Europe’s top clubs. He had just 7 days. It turns out, much to Ben’s surprise, Europe is actually quite big and it would have taken far more than his allotted week to visit everywhere. It also became apparent that football clubs are strangely reluctant to let random people in for a trial when they turn up unannounced. This film is his journey around the Netherlands, (a little bit of) Germany and (a tiny bit of) France. Along the way he gets to meet Steve McLaren and – more impressively – Patrick Kluivert. 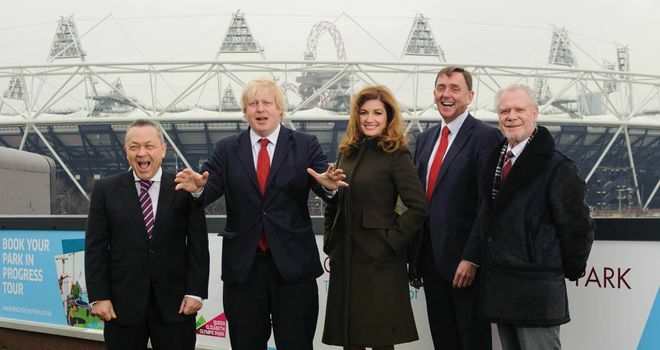 Q: If the Club get relegated, will the Olympic Stadium tenancy agreement impact on the Club financially? A: The Club will ALWAYS be able to afford its annual rent. Whilst we do not intend to focus on relegation, the deal is structured in such a way that the annual usage fee is reduced should the Club be relegated. So, there you have it: West Ham will get a rent reduction on the Olympic stadium if they are relegated from the Premier League. I’m pretty certain that had results gone the other way on Sunday, Arsenal’s mortgage repayments on the Emirates stadium would not have been reduced by their failure to secure Champions League football. Likewise for Spurs with paying the costs of the new stadium soon to be built just north of White Hart Lane. The club will have to find the money whatever league they’re in. For some reason West Ham has been granted a sweetheart deal by LLDC and Newham council that enshrines unfair competition. They know their costs will reduce if they are relegated, so they can afford to invest more in players and pay higher wages. The decision has been totally de-risked. If West Ham does makes it the Champions League, with the help of a generous leg-up from Newham’s tax payers, will this ‘promotion’ result in an increase in the stadium rent for the club’s multi-millionaire owners? Don’t be so silly. Something I wrote for my company’s blog about how one US hospital has used ideas pioneered by Toyota in car manufacturing to transform patient care. A new website about Forest Gate has appeared on the scene – E7 Now and Then. It’s very new and only has a few posts so far, but I’ll be bookmarking it to see how things develop. There’s also a Twitter account to follow. Like Woodgrange Web, it has adopted a brown theme that I think looks rather fusty and old-fashioned. Perhaps that’s the point, but it’s not to my tastes.